I found report I think all Hong Kong businesses and marketers should read…Google commissioned this research with Nielsen to look at how we as a city are using digital in 2017 “Think 2020: Smarter Digital City.” The results are that we’re not as digitally savvy as we think we are and that corporates are thinking about innovating but not really doing much yet. 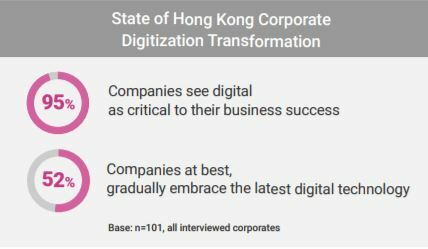 The report covers some great topics including Consumer Digital Behavior, The Role of Hong Kong Corporate, Public Perception about “Smart” Hong Kong, and what government can do. They also focus on some specific topics like Retail, Travel, Finance, and Living. Many mobile smartphone users meet their basic needs simply for the purposes of staying in touch with social circles. 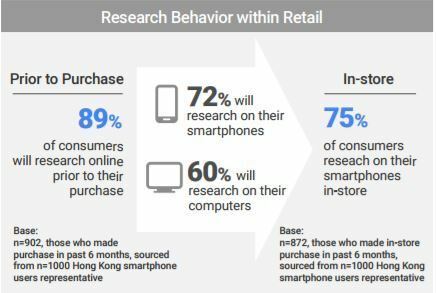 The majority use their smartphones for online research and mapping / navigation. Some use their phones for financial activities such as mobile banking and contactless payments. 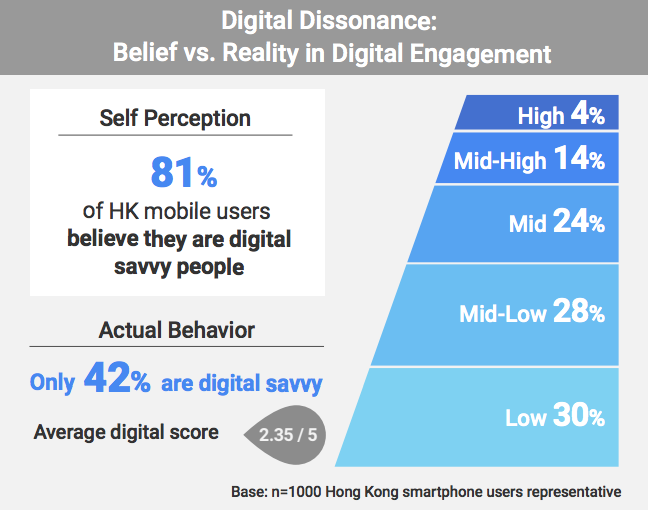 Many in Hong Kong believe they are truly digital savvy, though in truth, transformation is still in its early stages. These Hong Kong citizens are actually much less “engaged” than they believe themselves to be. It is critical for marketers to have a strong appreciation of local consumer behaviors, motives, and overall culture. This entails the understanding that individuals at work exhibit a more conservative attitude, however, once the workplace is left behind, the social and home environments are more fun and less conservative. For both behavioral environments, appropriately targeted marketing strategies should be based on building trust. Digital activities in the workplace should center on safety and security, while adaptation of digital conveniences in the non-work environment should be easier and marketers should stimulate trial by emphasizing the convenient and fun aspects of digital utilization. An interesting outcome of our research suggests that investments made by the 79% of companies who are managing digital projects are primarily focused on “obvious” digital activities such as marketing and digital content development, e-commerce, and customer relationship management. Conversely, fewer companies are making investments in newer and more relevant technologies including big data/analytics, machine learning, and other digital initiatives that are crucial to personalizing consumer relationships and driving digital utilization. Companies must strike a balance in growing internal capabilities and seeking external digital expertise. 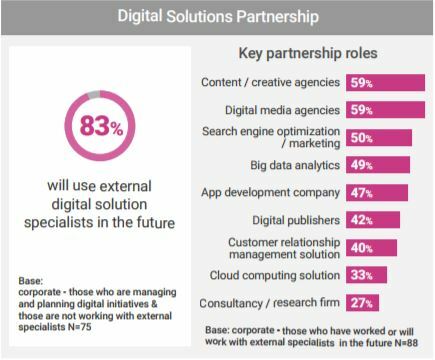 When partnering with external digital specialists, internal talent should be trained with new digital skills to facilitate integration. This will help build the digital and innovative mindset as part of the company’s DNA.